(BPT) – Busy has become a way of life. Between work, household chores, time with family and friends, people often don’t have time to complete that entire wish list of home updates. Luckily, there are several simple kitchen and bath projects that you can conquer in minimal time that deliver maximum style and functional impact. In fact, here are a few projects that can be completed in about an hour or less. Bring the luxurious style of a hotel to your bath and increase shower space with a Moen Curved Shower Rod. Available in single- and double-rod designs, both offer the elegant look often seen in hotel baths while adding up to 7 1/2 inches of extra elbow room to create a more enjoyable shower experience. If you’re short on time, Moen’s Tension Curved Shower Rod is a perfect choice: it can be installed in three hassle-free steps – without drilling holes – and removes easily, making it perfect for any shower, even if you’re a renter. Finally, add decorative shower curtain rings and a new shower curtain to give your bath an instant makeover. For more information visit www.moen.com. Want to quickly enhance the look and functionality of your bathroom? Accessories, such as towel bars, hooks and shelves can be a quick and inexpensive solution. It’s easy to eliminate bathroom pet peeves like towels on the floor and too many products in the shower with bath accessories that come in a variety of styles and finishes. If safety is a concern, Moen also offers a variety of accessories that incorporate the benefits of grab bars into their designs. If you wish you could have the beautiful tile backsplash seen in high-end kitchens, but aren’t up for messing with mortar, you now have an alternative. Today, there are many easy-to-install wall tiles that offer an adhesive backing or simply adhere with double-sided tape or adhesive. 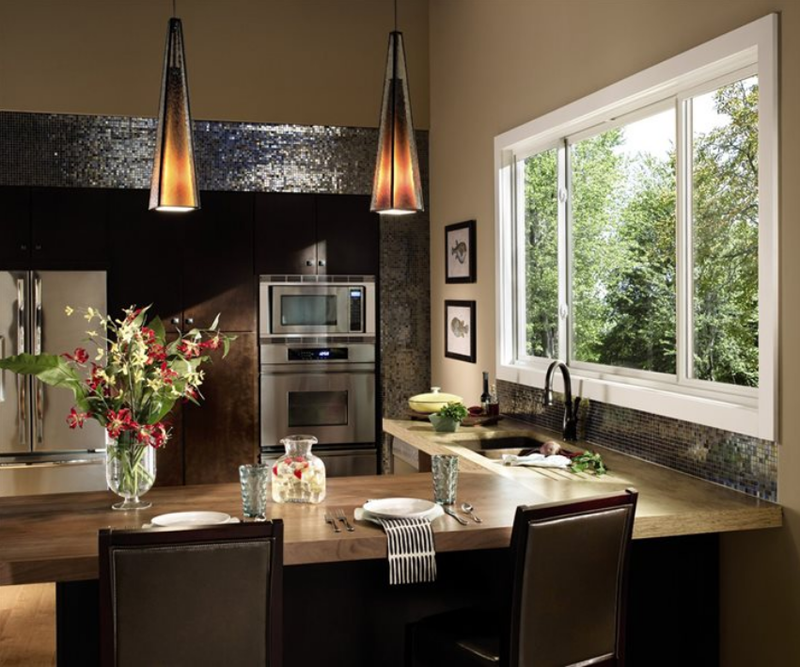 Plus, they are available in a variety of faux tile, stone or metal designs to transform the look of your kitchen in no time. Is your kitchen cabinet hardware looking dingy or dated? This simple project can make a dramatic difference in your home’s appearance. Look for new knobs and drawer pulls that are designed to match your existing faucets and fixtures in both style and finish. Whether you prefer modern or something with a more traditional look, there are many options available to extend your sense of design down to the details. But don’t stop with knobs and pulls – much like the bath, towel rings and hooks are the perfect solution for managing dish towels that are often carelessly strewn about countertops. Establish a special spot for this kitchen necessity by mounting hooks, towel rings or towel bars on the side of an upper cabinet, the end of the island or in another kitchen work space. Take an hour or two and try some of these quick and easy DIY projects for yourself. You may be surprised as to how much you can accomplish in such a short period of time!